ORA Limited is a private company incorporated in Jersey, Channel Islands, and is focused on the development and growth of companies within its investment portfolio. 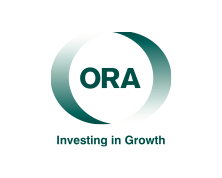 ORA only invests its own funds, ensuring we are able to commit as strategic investors for a longer time frame and help companies realise their objectives. We take majority or substantial minority stakes and seek to deliver capital growth by working with companies to deliver value accretion over the medium to long term.